Did you know that a recent study suggested that more than 20% of apps are used only once and abandoned thereafter? Most smartphone users have more than 50 apps on their phones and it’s easy for your app to get lost in the saturated and competing marketplace. Brand such as McDonald’s, Instagram, Runkeeper, Starbucks and many others have successfully used mobile apps to help improve loyalty, boost sales and enrich the overall customer experience — but a big chunk of other brands have struggled to find an effective strategy. Simply investing in an app is not enough; the app has to fit in the company’s overall goals while consolidating its brand loyalty, and it must be backed by a strong product and marketing strategy. It’s never easy to create an enduring customer relationship and brand loyalty in the world where loyalty is rare, choices are endless and competition is tough. But the more you understand your audience, understand the importance of good mobile strategy and pay attention to user experience, the easier it will be for your brand. So we decided to bring to you 10 smart tips and practices for grabbing the attention of your user and monetizing on the app in which you invested valuable time and money. 1. Ensure great performance – Your apps performance is a critical factor in making or breaking your relation with your app user. Research suggests that if new users face issues when issues might never return, ever. To guarantee conversion from browser to buyer, ensure your apps performance by evaluating its load time and making sure that the experience is error and exception free. Google will push you back in SERPs if your apps load time is higher as well as your bounce rate will dramatically increase. Anything slower than 2 seconds is considered slow in the app world. You can measure your page load speed using this free tool. Take time to monitor your apps performance and behavior and you can achieve this by leveraging tools and reports which are easily available. 2. First Time User Experience (FTUE) is critical– The fact that significant number of apps get used only once poses a challenge before the app developers to make the first experience worthwhile. The latest trend in the app marketplace is to launch a walkthrough or guided tour to introduce the app and demonstrate what the app has to offer. The focus of the app developer should be on simplicity and intuitive design, but sometimes it is a challenge to achieve it. Apps can also have overlay help screens to facilitate easy understanding of app’s features and interface. 3. 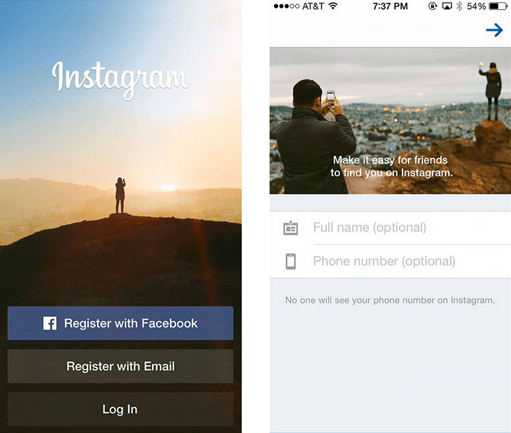 Create a simple and easy onboarding process for new users –Logins and account creation are a tricky affair accounting for a significant loss of first time users. But majority of the apps need you to create a login before you can start using the app, so optimizing the process is an important factor. Experiment with different login options like social, email or even no login at all (if possible), to make the process as fast and seamless as possible. App developers should also experiment with the timing to ask the user to create a login which can be either when the user is starting the process of using the app or later after x number of uses. 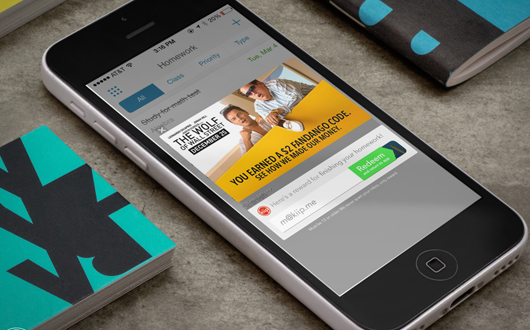 App messages deliver your voice to the users in a compelling and targeted way. According to a recent data, 68% app users subscribe for app messages and 70% of those find those messages worthwhile. We know that right push messages can do great things, but what we also need to keep in mind is that customers like to be in control. It is easy to forget that too much and untimely messaging can easily disengage and frustrate users, so they trust brands that offer the flexibility of opting-in and out at any point in time. You need to earn the trust of the users to communicate through app messages by providing valuable and meaningful offers and the option of unsubscribe at will. No one likes to receive irrelevant useless information and waste their time. Deliver targeted, customized, rich content to your app users based on their in-app behaviors, context, time, preferences or demographics. Mobile app audience segmentation not only improves user engagement and experience but also helps in monetize their apps with better ROI. Use analytics to create dynamic, customized user segments and run relevant campaigns. Filter analytics reports by segments to compare engagement and analyze ROI. Track how your segments evolve over a period of time and identify high value users. What blew us away was the fact that more than half of the users download apps to receive discounts and get special discounts. 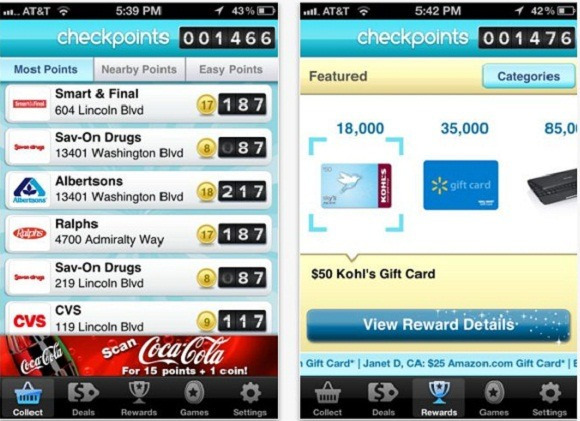 App rewards not only delight first time users and increase download but also boost brand loyalty and increases user retention. If you have users who have not come back in a while, engage them by giving away appropriate incentives or creating a reward-based or loyalty program. It is more important today, than ever to make your app “share friendly”. First create an app that is inherently social, which promotes itself when shared and talked about. Also enable social sharing every piece of content in an app, it should be easy to share or “like” on social platforms like Facebook, Twitter and Google+. Allowing users to share, can gain a lot of traction if your users share the app or in-app activities on their social media. Games, fitness apps, ride shares and lifestyle apps are increasingly becoming share friendly to get the word of mouth popularity. When social sharing is easy, it becomes an integral part of users and and makes the app more interesting and engaging. App developers can also incentivize sharing the app, to take sharing to another level. Also keep in mind to enable cross platform sharing, because the more the better. Each social media has its own advantage and a different type of community to target. The most opportune time to interact with your app audience is when they complete an in-app event. When you have their undivided attention, sending additional information or promoting further activity will reap better benefits and create better user engagement. 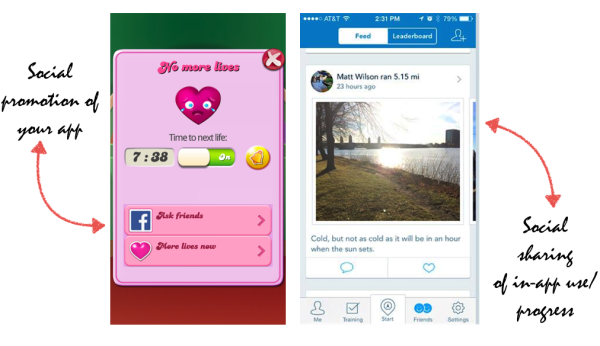 It improves the users experience and these contextually relevant messages drive the users deeper into the app. This winning automation is also easy and fast to implement. 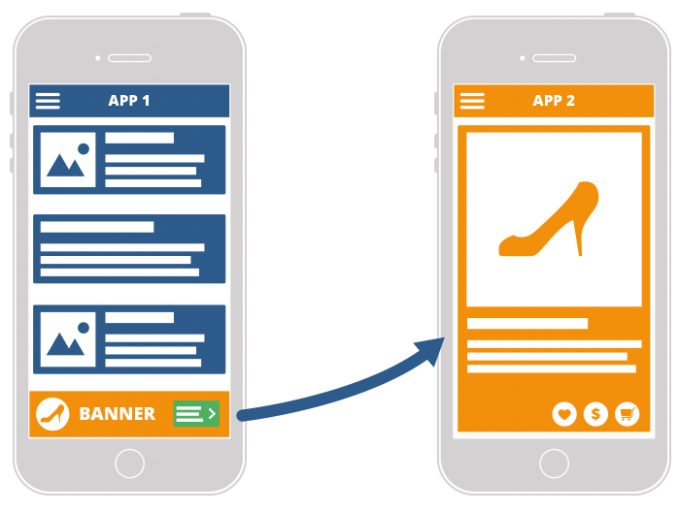 Deep linking in mobile app term means, it’s URL equivalent for mobile Apps which helps in sending users directly on a specific page/screen inside an App when its opened for the first time. This improves the users experience, saves valuable time and engages the user. Like this ecommerce app takes the user directly to the product they want to buy, rather than wasting time in navigating through content. The most important engagement strategy is to listen to your audience. When you listen to your users you not only engage the users, but you have better chance of improving on the app store ratings and work on valuable feedback to fix dislikes. 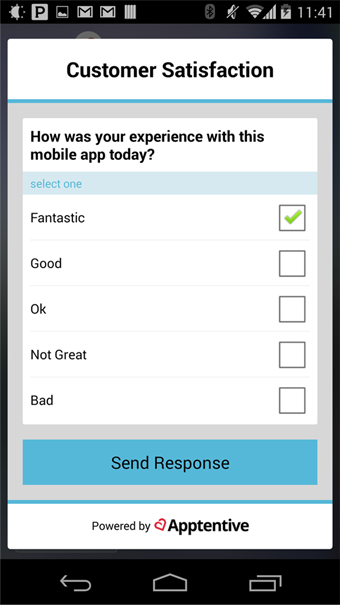 One way to do this is by sending Net Promoter Score (NPS) surveys to your audience, and determine how likely they are to recommend the app to a friend. Users with a high NPS are your best “promoters” whereas users with a low score are your “detractors.” Your strategy to improve engagement now should be to leverage your promoters to improve your ratings. And engage your detractors to capture insights for future improvements and enhancements. There is no sure shot magic formula for operating a branding app, and brands that do so must analyze what works best for their app and optimize their marketing strategy and efforts accordingly. But follow these ten tips, which have been proven time and again to you can improve your app to garner loyalty, delight customers and just generating brand lovability.